COVER REVEAL & Giveaway from Sandy Goldsworthy! + A new free book! Clean Teen Publishing is excited to make three big announcement about the AFTERWORLD SAGA by Sandy Goldsworthy! AFTERMATH, the first book in the AFTERWORLD SAGA just went free for a limited time! Dive into this exciting young adult paranormal romance series today! AFTERLIFE, the second book in the AFTERWORLD SAGA has a new cover and it’s available for pre-order at a deep discount! The post-release sale price for AFTERLIFE will be $5.99, but readers can pre-order it today for $3.99. Sandy Goldsworthy is offering up a $10 Amazon gift card to one lucky winner! Check out the bottom of this post to enter. 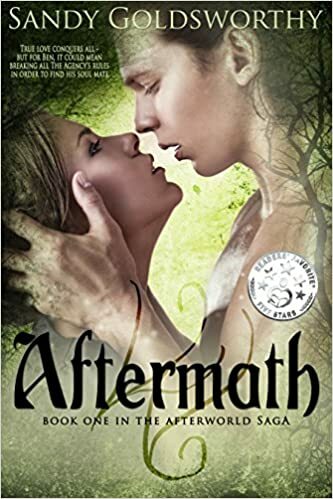 READ AFTERMATH FOR FREE TODAY!